Sumba tour day 1 begins with the pickup from Waingapu airport in the eastern part of Sumba. From there one we will visit a beautiful place called: Bukit Persaudaraan ( Persaudaran Hill). 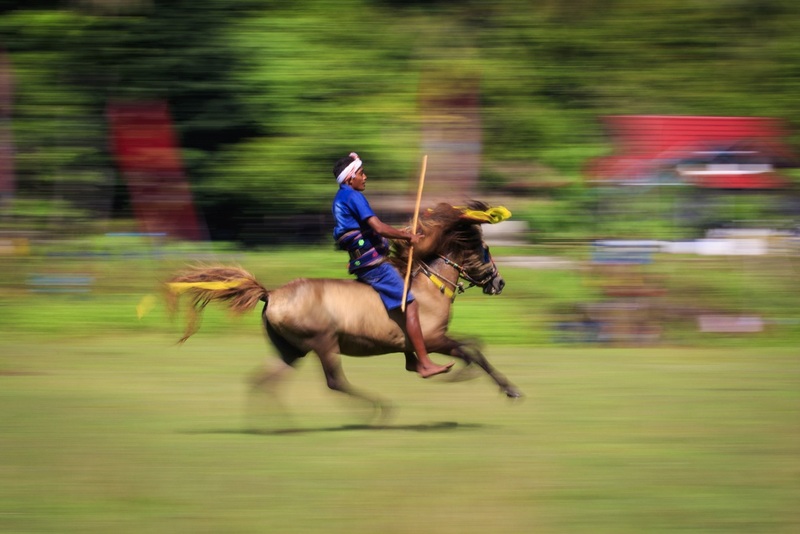 On the top of this hill you will have a great wide view over the landscape that Sumba has to offer. You can see agricultural lands from above here and the hilly landscape in the distance. After this, we are heading to “Bukit Wairinding”, which means; the Hills of Wairinding. You will visit a spot where the view into these green and endless hills is amazing. If you want you can sit down for a while in the grass and enjoy the moment while the sun is setting in the distance. When the sun has disappeared we will head back to get some well deserved rest, because tomorrow we will have another full day of exploring and adventures. 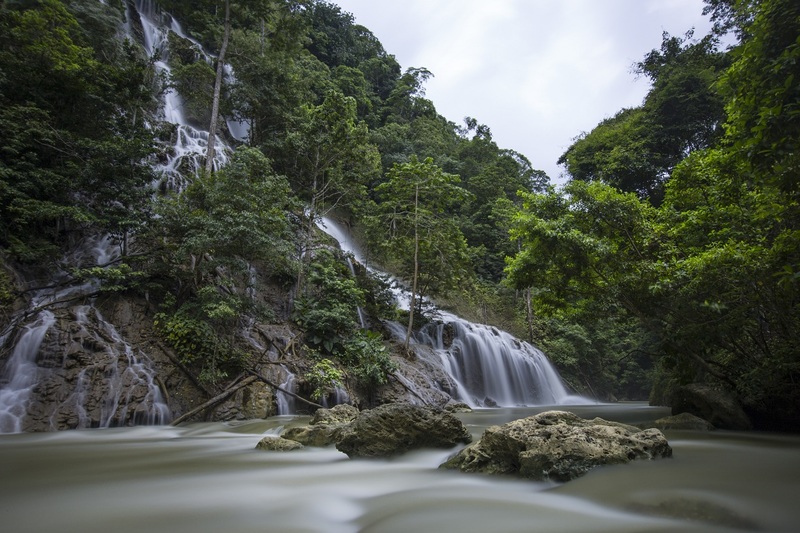 As the sun rises day 2 of the Sumba tour has begun.This day starts with a drive to the Waimarang Waterfall, the trek down will be adventurous and though but the waterfall at the end will make it all worth it. Don’t forget to bring your swimming clothes, because diving into the water will be great after the trek. After the hike back up the hill we will be heading to our next stop of the day; Rende village. In Rende we can see the big megalithic tombs and the traditional houses. 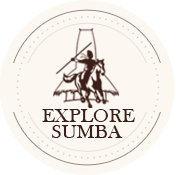 We continue the Sumba tour with long drive to almost the most southern point of the island, Watu Parunu beach. On the way to here, you will pass a nice and massive savannah where you can stop a while. 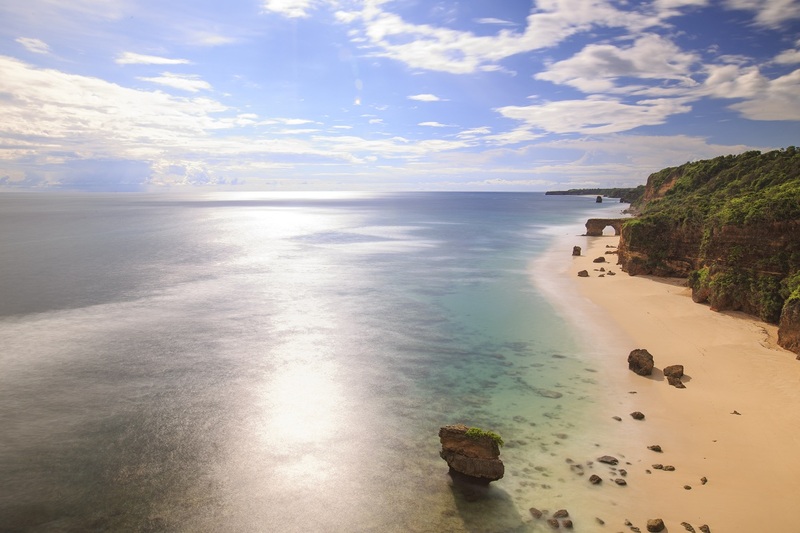 Upon arrival at Watu Parunu you will be seeing a wide and big beach. In the distance you can already see the magical rock formation which is created by nature. The nature made a small arc, a cave and several other strange shapes out of the rocks which makes this place unique. Have a look around and when the time allows it, we will enjoy the sunset here. Unfortunately it is the last day of the Sumba tour, but we cannot let you leave the island of Sumba without a visit to Prailliu Village. The unique thing about it is that Prailliu is located in the middle of the city of Waingapu. The village has the traditional Sumbanese houses and you will also find the traditional clothing (“Ikat”) and the typical graves.